Your favorite Indian or Thai curry is feeding much more than your stomach—it’s also feeding your brain, heart, lungs and all your other vital organs. Scientists say turmeric, the primary spice in curry, which can be found online or at most grocery stores, has been shown to have positive effects on your health (and even your pet’s health), nurturing your nerves, arteries and even the tiniest blood vessels in your legs, arms, toes and fingers. Like ginger comes from the ginger plant’s roots, turmeric spice comes from the turmeric plant’s underground stems, called rhizomes. Curcumin, the primary active ingredient in turmeric, gives the spice its bold orange color and has been the focus of thousands of scientific studies. But turmeric is certainly not new—it’s been used in Ayurvedic, Chinese and Indonesian medicine for more than 5,000 years. According to Aggarwal, more than 8,000 studies have revealed turmeric’s antioxidant, anti-inflammatory, antibacterial, antiviral, antifungal and anticancer properties. And more than 130 clinical trials have shed light on turmeric’s role in fighting chronic diseases like autoimmune, cardiovascular, metabolic (obesity and diabetes), neurological and psychological diseases, as well as cancer. Turmeric’s ability to halt inflammation is the key to controlling many of these chronic diseases, explains Aggarwal. Turmeric flips a switch that blocks two nasty inflammation triggers: tumor necrosis factor (TNF) and cyclooxygenase-2 (COX-2). “The multibillion-dollar pharmaceutical industry has a myriad of drugs approved to control inflammation, when turmeric will do just that,” he continues. In Ayurvedic medicine, turmeric’s benefits are understood from a broader energetic perspective—the system of doshas—says LivingHealthy expert Siva Mohan, MD, MPH. Turmeric works with multiple organ systems to decrease inflammation and promote regeneration, she explains. The doshas—pitta, vata and kapha—are fundamental concepts in Ayurvedic medicine. They are the mind-body types, each representing a unique blend of physical, emotional and mental traits. Inflammation is the result of a pitta imbalance, as there is excess heat and intensity. Pitta imbalance requires a cooling herb, and all anti-inflammatory herbs have cooling properties. However, while this cooling helps to balance pitta, it aggravates a vata-depleted state, which affects digestion and movement of nutrients into the cells, and can cause degeneration in the body. 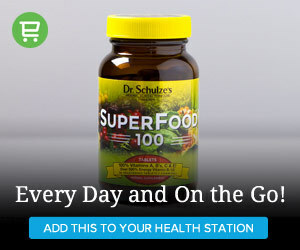 “Turmeric is unique because it is a great fit for those with inflammation and degeneration together,” Mohan explains. 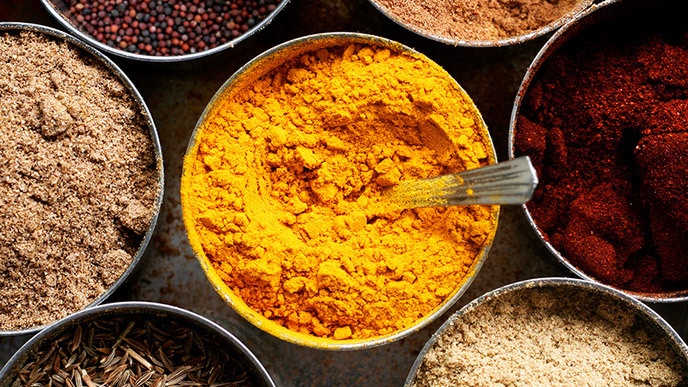 While turmeric is a great herb to address imbalances, true Ayurvedic healing would also address the root causes of inflammation and depletion and approach the problem from a holistic perspective. Treatment would focus on making lifestyle changes that help balance the doshas, including environment, food choices and even relationships. While veterinary research lags far behind human clinical trials in this area, it appears that your cat or dog could also benefit from a bit of spicy turmeric. “After all, they are mammals, just like we are. What works for us works for them,” says Mohan. A recent review in the Journal of Veterinary Pharmacology and Therapeutics found evidence that curcumin helps to reduce osteoarthritis inflammation in dogs, especially when taken in a form that the dog’s intestine could absorb. Fresh turmeric root, similar to ginger root, is now appearing in mainstream supermarkets, she adds. Supplements and off-the-shelf spices might have some effect, but they won’t be as powerful as the turmeric root. “Any packaged product loses potency to manufacture, delivery and shelf time,” Mohan explains. The health benefits of turmeric come from regularly eating it in small amounts over a long time period, says Aggarwal. There seem to be no toxic effects from eating turmeric, even at high doses. The FDA has declared turmeric and curcumin to be generally regarded as safe (GRAS)—and you’ll see it on food labels, including mustard, cereals, chips, cheese and butter.